Model-based expert systems show great promise particularly in their technical application. 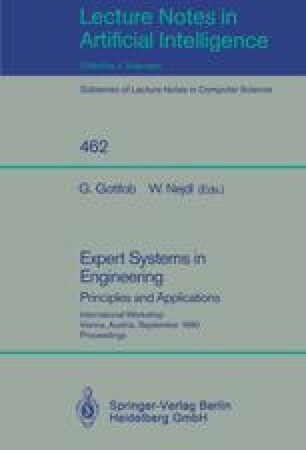 This article describes a research project in which the fundamentals for the development of model-based diagnostic expert systems in manufacturing are to be compiled. Using the example of a lathe, general ideas on machine tool modeling are presented and the concept of an on-line-coupled diagnostic system supported by an assumption-based truth maintenance system is introduced. The modeling follows a component-oriented approach using constraints to represent the behavior of the machine tool. The significance of the introduction of derived constraints and different levels of abstraction is explained. Initial experiences from the practical realization of the system point toward the applicability of this approach to other cases. This work is part of the research project “Development of a Model-Based Diagnostic Expert System for Maintenance” supported by the European Recovery Programme, Berlin, No. ERP 2611.